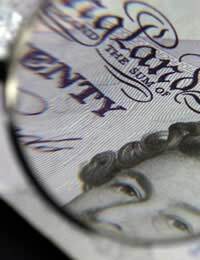 An estimated £15 billion of unclaimed money in Britain can be found in bank accounts, investments and pension policies. This money does actually belong to people and there are ways to find out if you have unclaimed money waiting to be found. Where is all of the Unclaimed Money? Unclaimed money or financial assets can be found in a number of different places. Unclaimed money can be found in dormant bank accounts, unclaimed pensions policies, financial investments and even savings bonds. One of the major reasons that people forget about these assets is moving home and changing address without notifying the financial institutions. Other reasons can be change of name that occurs when couples marry or divorce, or if one partner took control of all financial dealings. In banking terminology a dormant account is one where there have been no customer transactions or contact for three years. However, customers can still claim their money and interest on the money. The 2008 Dormant Bank Accounts Act does mean that any money in dormant accounts over 15 years old can be reinvested into the community. Bank customers can still make a claim even if this money has been reinvested. Why Would I Not Be Notified of Money Owed to Me? In many cases financial institutes will have tried their best to match up unclaimed money and investments with the rightful claimants. However, in the past, banks have not been too bothered about chasing dormant account holders. Banks tend to have used this money to lend to others knowing it was unlikely the rightful claimants would turn up. Is it Likely I Will Have Unclaimed Money Waiting For Me? If you have changed jobs and addresses over a number of years then there is chance that money that is due may not have reached you. Many people leave jobs without claiming on employment pension policies. Small investment policies can soon build up over a number of years. If the financial company has not been informed of an address change then they may not go out of their way to try to find the rightful owner. How Do I Find Out If I Am Owed Money? There are a number of companies that can track unclaimed money; most will charge a fee for this service. Companies such as the Unclaimed Assets Register can trace unclaimed money for individuals. All that is usually needed is previous address details. There will be a £25 charge for this service and the results will take a few days to complete. The Unclaimed Assets Register claim that their success rate is usually 1 in 6. Can I Search For Unclaimed Money Myself? If you think you may have some unclaimed money then doing your own research can pay dividends. Gathering all the financial proof you have is advisable. Contacting the relevant banks, building societies and financial institutes will be the next step. The British Bankers Association does have a website with a lot of useful information for claimants. Checking with individual banks will not usually cost any money, although some may charge fees. How Can I Track Old Pensions? The best place to start a pension search will be with the government’s pension tracking service. This service can be used to find both occupational and personal pension schemes that claimants have lost touch with. Claimants can usually be matched up with lost pensions by providing National Insurance numbers and employment details. This service is free to use and usually only takes about 15 minutes to complete the online forms. My Life Insurance Policy Company Disappeared, How Can I Find Them? In a number of cases the insurance company may have been taken over by another company. The Financial Services Authority (FSA) may be very useful in tracking down financial companies that have changed name or been taken over. A thorough check on the Internet may be enough to yield some results especially if you check the name of the insurance company and the name of the insurance policy. Where Can I Find Unclaimed Money Trackers? There are a number of unclaimed money trackers advertising their services on the Internet. Always avoid unsolicited emails from companies that claim they will find money for you for a fee. Also be wary of those that charge exorbitant upfront fees to find money. The best method is to use the government routes of finding unclaimed money or companies such as the Unclaimed Assets Register (UAR). I have been approached by 2 heir hunters regarding money left over from my repossessed flats, how can I find out where I can claim it without having to pay a fee to the heir hunter? I had a Grandmother on my Mothers side in the UK and according to a letter from her she was going to leave me some money. As my Mother has passed away, I have lost contact with all my family in the UK. I can only presume after calculating my Grandmothers age, that she has passed away by now. How do I go about tracing her will and what do I need in as far as her personal details are concerned. Hi I am tom I have been in touch with money trackers UK today do I have to pay a fee to look for lost money. All of this makes sense, and there really is money out there. It belongs to someone, and it might be you. However, unless you have an inkling that some of those dormant accounts are yours, don’t spend money going after them. You can perform the basics thro9ugh the BBA site, and that should tell you what you need to know.